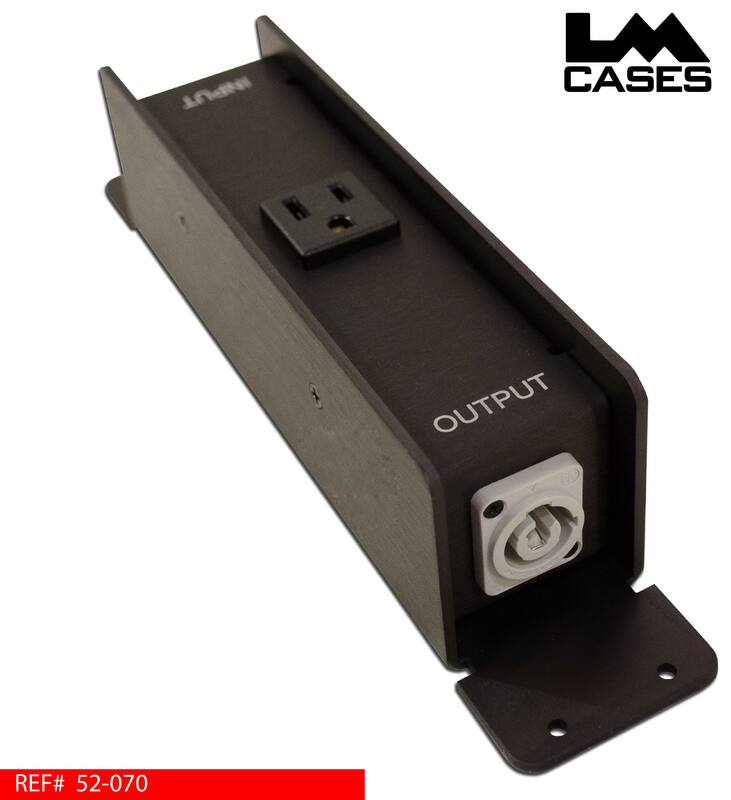 The StageLink powerbox is designed to provide an inline 15amp courtsey outlet in the middle of a Powercon run. The box can be used as an extension adapter to combine Powercon cables or provide a outlet at the end of a run. 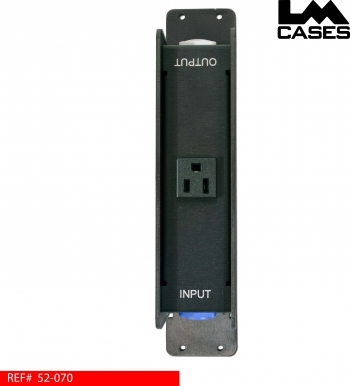 The box is built out of .125" black anodized aluminum and features mounting tabs on ether side to allow it to permanently attached. 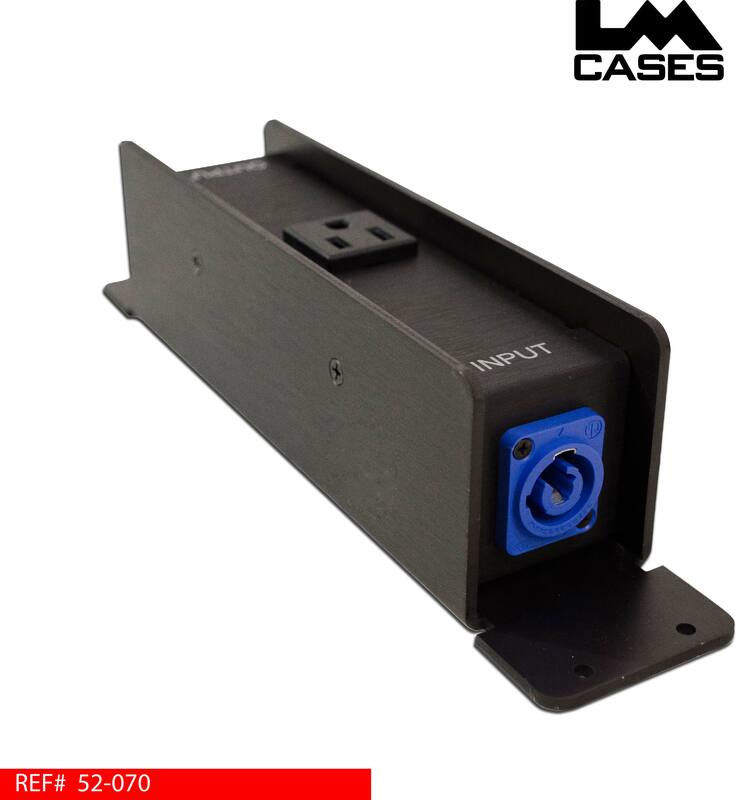 The Stagelink is the perfect solution for suppling power to workbox drawers and console doghouses.